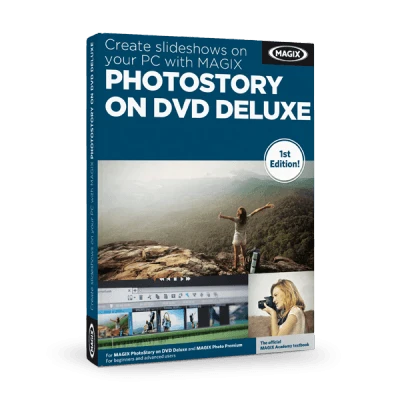 Join the authors on their journey to a complete slideshow, from importing the photos and videos, to optimizing and editing them with the multitude of options offered by MAGIX Photostory on DVD deluxe, on through to outputting the finished slideshow complete with a DVD menu. Over 350 pages filled with step-by-step instructions, tips and tricks for slideshows! Learn all there is to know about creating impressive slideshows including lots of useful tips for taking great photos - packed into more than 350 pages. All of the most important features are explained in detail and illustrated with high-resolution screenshots and clear examples. The authors also provide useful tips and tricks in each chapter. All important information is presented in 13 descriptive and easy-to-understand chapters and can be put to use immediately. Sascha Daniel holds an M.A. in International Cultural and Business Studies and has worked as a journalist in the multimedia field for many years. At magix.info, the Multimedia Community, you can exchange ideas and share your experiences with other users directly from the program. Get inspiration and expert answers to your questions about all MAGIX products.